Seidat is a cloud-based platform which makes it super easy to collaborate with your team, manage your decks and share them by a link. Once you've imported your Powerpoints to Seidat you will be able to update and manage them all from one place. All your team members always get the latest version of your slide decks and you get to keep the control to yourself. You never know when a presentation may be needed. When you have your slide decks in Seidat, you're always prepared regardless of the time, place or device used. Seidat can be used for both, face-to-face and remote meetings to support you. Seidat is a web browser app so you can use it on iOs and Android devices as well as Mac and PC computers. Different audiences need different presentations. 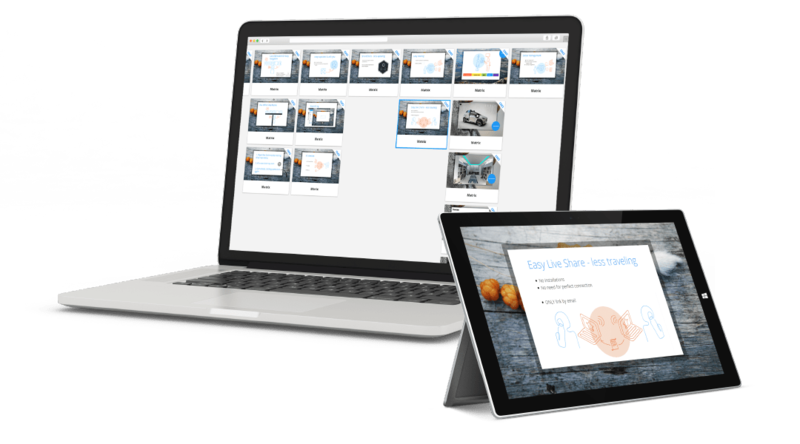 So, instead of linear powerpoint presentation structure and the need to edit the presentation before every single meeting, you can arrange your slides in an easily navigable structure, ready for any occasion.